We were in Pittsburgh for a family function, so we spent some time out and about. 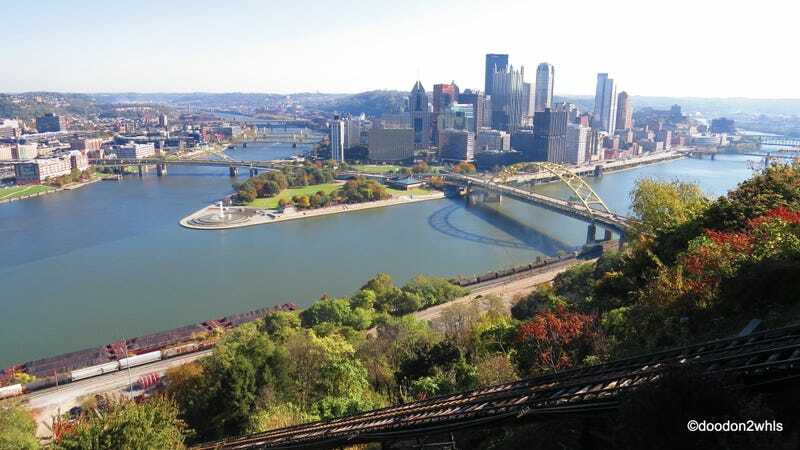 The lead image is the view from the top of the Duquesne Incline Observation deck. And here is a more panoramic composition. Before we skipped town today, we visited the Carnegie Museum of Art. This is the fountain by the Forbes ave entrance.